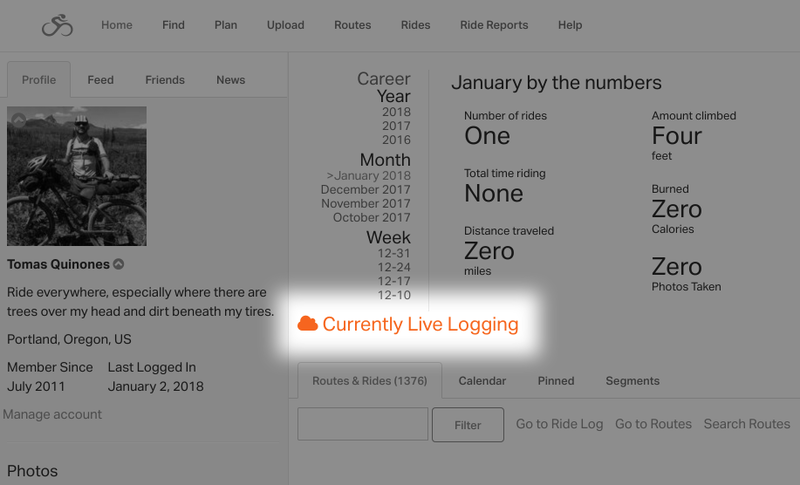 A great feature to help share your rides as they happen is called Live Logging. Our Premium and Basic members unlock this feature for our iPhone and Android mobile apps. You must have cellular network access for this function to work. If you lose service while live-logging, we will update everything accordingly when you gain service back. How do friends and family see your Live Logging? Tap GO RIDE. The app will get your GPS location and start recording. Tap the Live Logging icon in the corner. You’ll then get prompted to check your Live Logging settings. 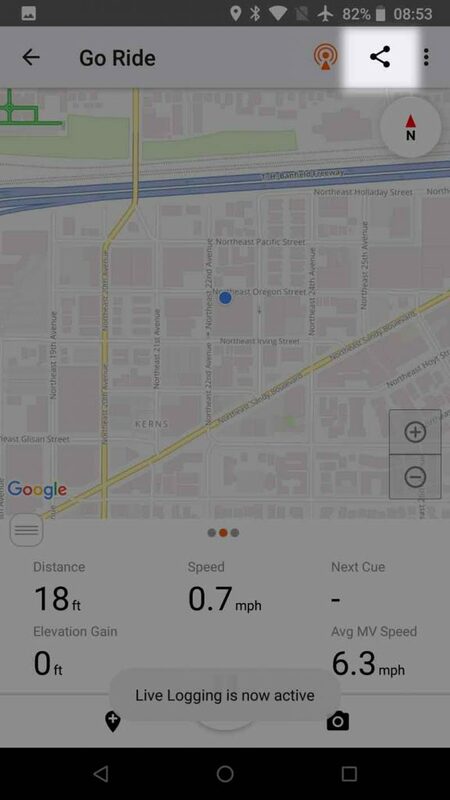 After you have made changes to the setting, press DONE to start Live Logging your location. The orange icon indicates Live Logging is active. Tap it a second time to deactivate it. Ending your ride will also automatically end Live Logging. How do friends and family view your Live Logging? 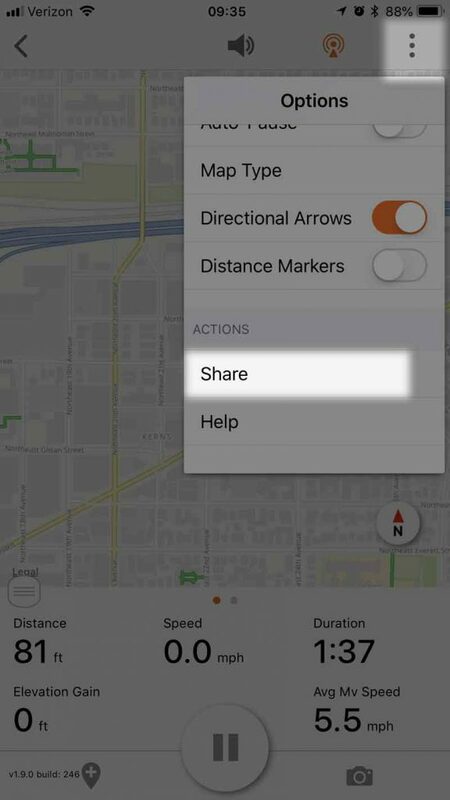 Anyone can view your profile to see your current location, while your Ride with GPS friends will see you in their Friends feed. When someone goes to your profile, they will see the text CURRENTLY LIVE LOGGING. By clicking this link they will be taken to a map with your current location and track for the trip. 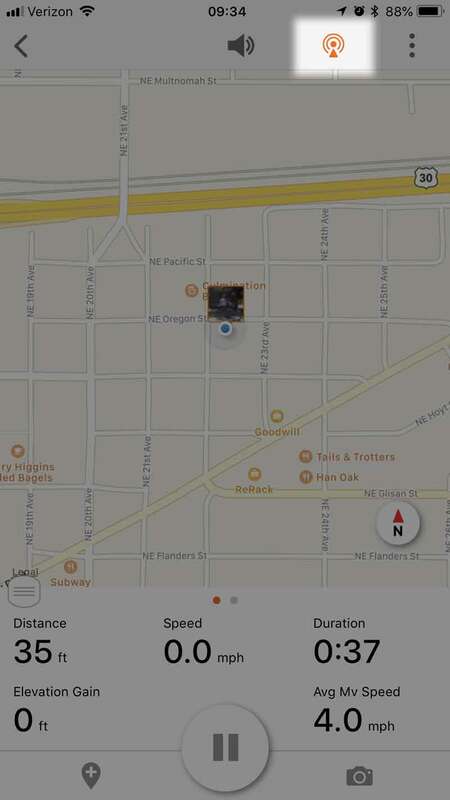 While someone is Live Logging, you can see the track where they have been, and the black dots on the track indicate where they have taken a photo and uploaded to the ride. Type a comment for the Live Log in progress, then that rider will get an announcement on their phone and have the comment read back to them. The Live Logging page will get automatically refreshed every 5 minutes. After you’ve started Live Logging, you can share your ride in progress. The sharing options available will depend on your phone and the apps you have installed. Sharing on Facebook, you’ll see additional options like choosing with whom you will share the live logging, tagging other people, and more. 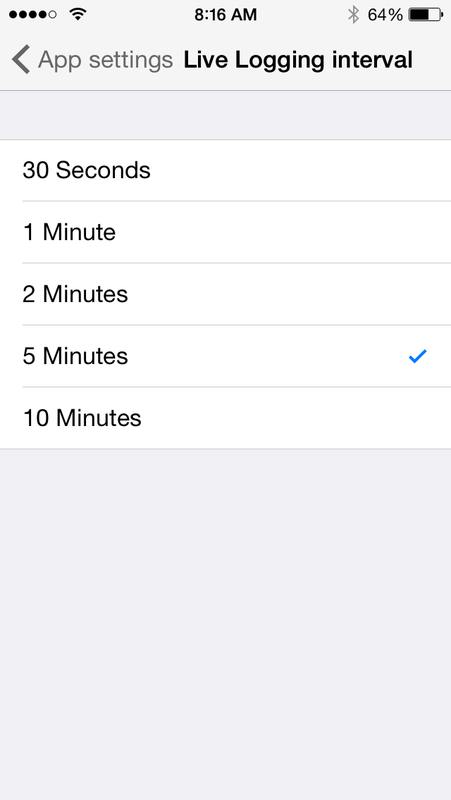 Tap the upper left hand corner of the app, then going into SETTINGS > LIVE LOGGING to change how it behaves. 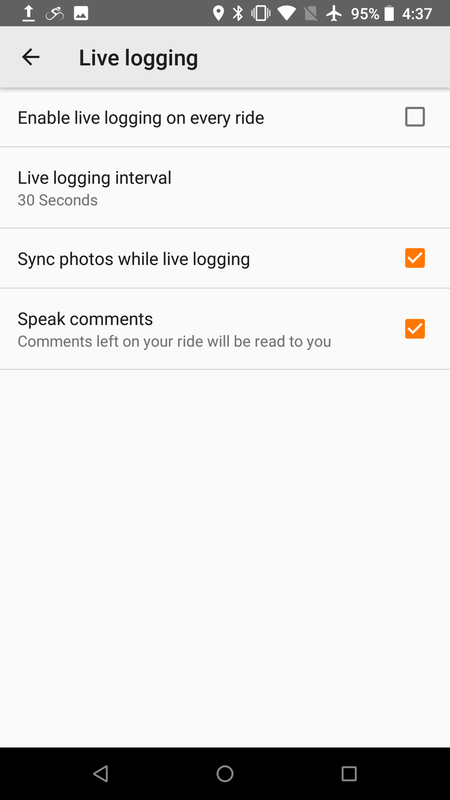 You can enable it for every ride, change the interval, sync photos while Live Logging, and speak comments made to your Live Log while you ride. 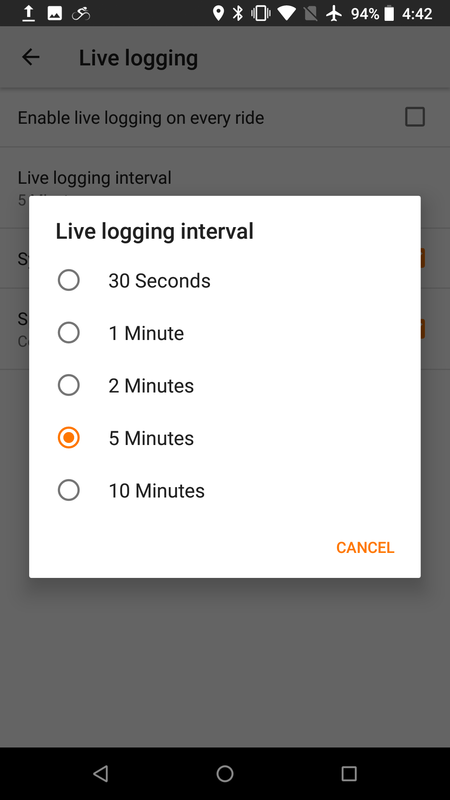 Live Logging intervals can be changed to update every 30 seconds, 1 minute, 2 minutes, 5 minutes, or 10 minutes. Keep in mind the more frequent the Live Logging, the more battery time it will consume. If you want to conserve battery, change it to 5 or 10 minutes. 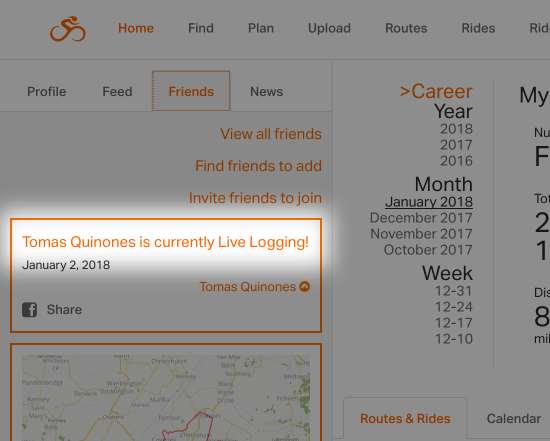 By default, the Live Logging feature is set to public therefore everyone can view the ride on your profile page. 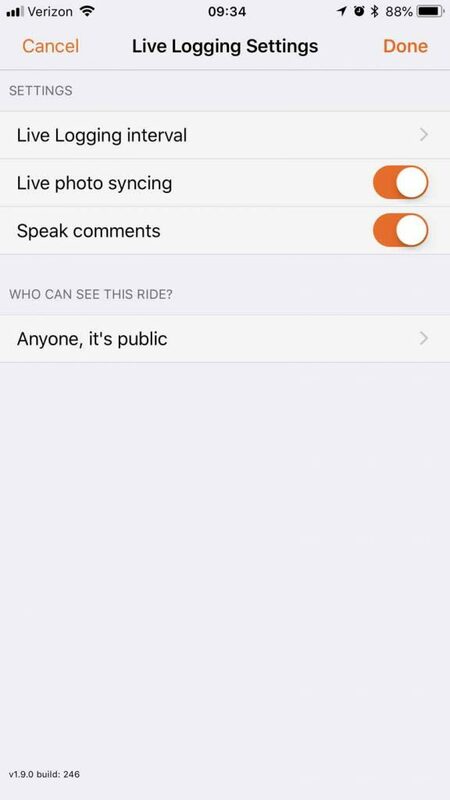 You can choose between three privacy settings to decide who can see your ride in progress. Public – Everyone can see your ride by simply going to your profile page. They don’t even have to sign into the website. 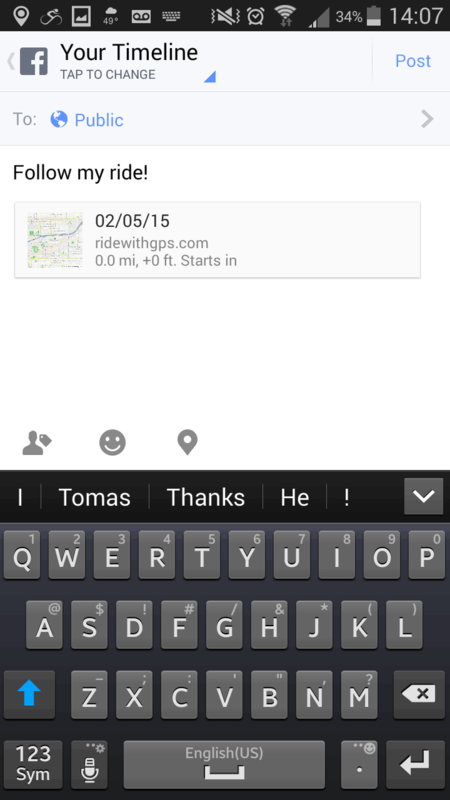 Friends Only – Only those accounts you have befriended within the Ride with GPS will be able to see your ride. Private – Only your account will be able to see your ride in progress. Typically it is a spouse or family member signed in with your account that would view this ride as it happens. Should the start or end of your ride take place within one of your Privacy Zones, then that part of the ride will remain private regardless of the Live Logging privacy setting. 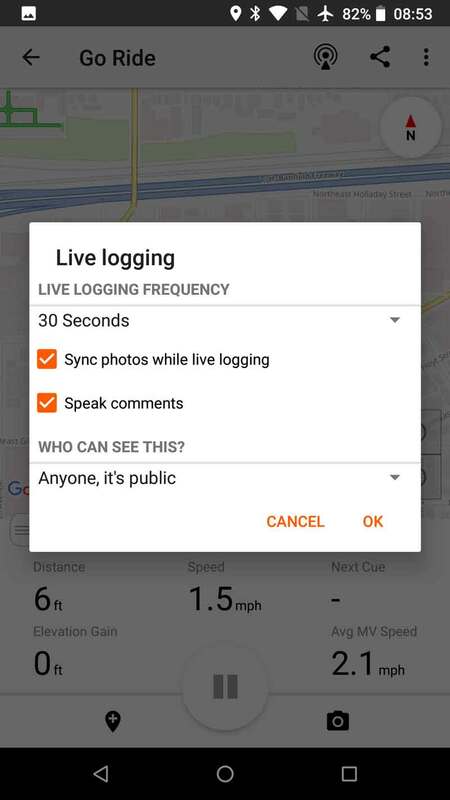 When you enabled Live Logging along with the Live Photo Syncing option, any photos you take within the app or out of the app will be automatically synced to your Live Log and available for viewing on the website. Live Photo Synced photos are uploaded at a much smaller resolution of 1024×768 pixels with moderate compression to minimize the amount of data used. Once you have finished your ride, you will be prompted to select photos to be uploaded. Photos that were Live-Synced will have the Live Logging icon on them to show their status. 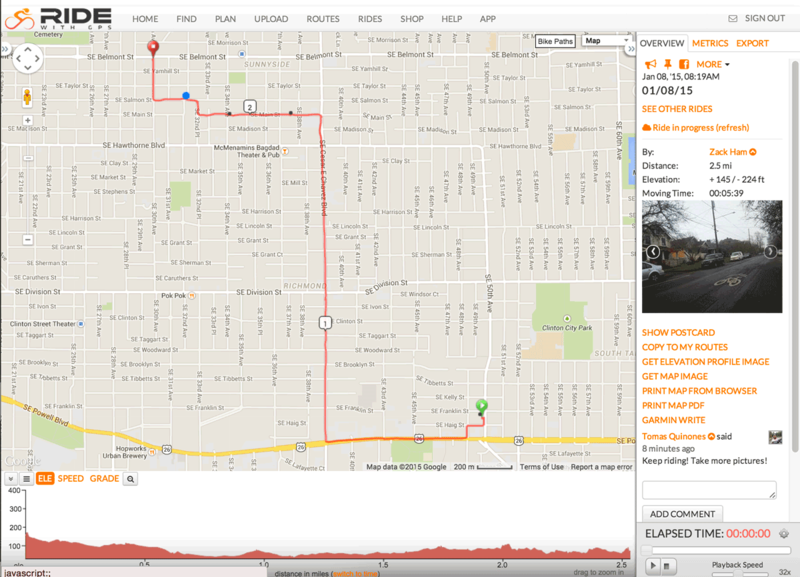 These photos will then be uploaded again at full resolution upon saving of the ride. We recommend saving and uploading once you get to a Wifi connection to save data on your cellular network. 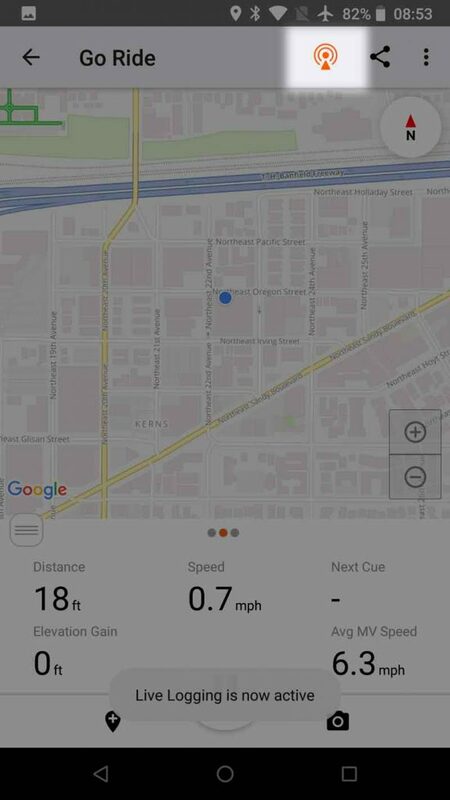 Enable Live Photo Syncing in your app settings so photos get uploaded in real time as well, and geotagged to their exact location. Disable this feature if you wish to conserve your wireless data. Must have access to cellular network data to transmit your location. By default, it is viewable to the public.